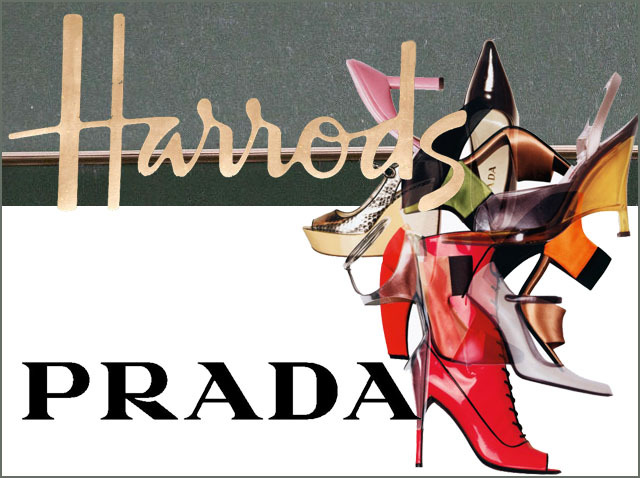 Throughout May Harrods are hosting an exclusive exhibition showcasing the activities and achievements of Prada. The exhibition will catalogue gems from Prada over the years; from fashion to architecture, and takes a walk through the history of the Italian fashion house. A singular Prada collection has also been created specifically for Harrods influenced by iconic Prada styles. The free of charge exhibition will be ajoined to the first Pradasphere café, a must for Prada followers and those looking for a unique shopping experience. Here at Blow we are excitedly awaiting the opening of Pradasphere at Harrods. Along with an exhibition there will be a Prada Cafe and a capsule collection designed exclusively for Harrods based on the past 100 years of Prada’s iconic collections. You can find all this on the 4th floor come May.